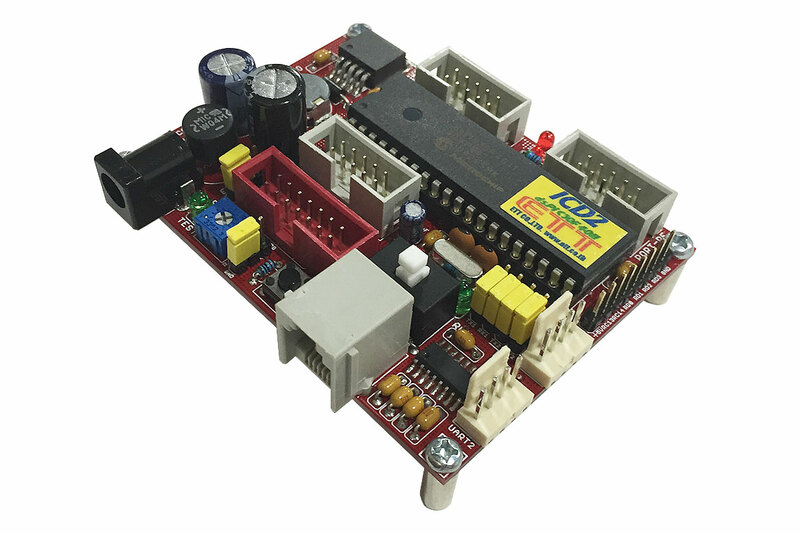 This is a great inexpensive compact controller is ideal for motor controller applications. 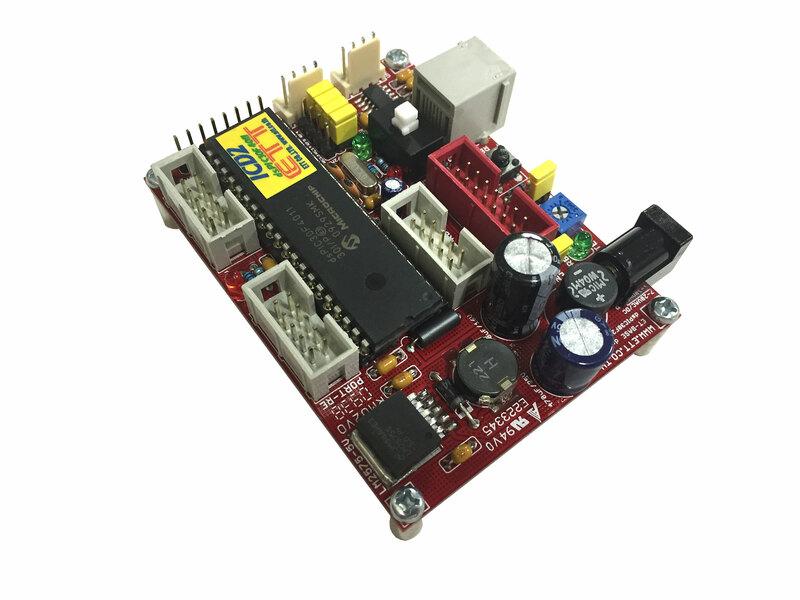 Utilizing the powerful, high-performance Microchip dsPIC30F4011 microcontroller, this microcontroller features a high speed core optimized to perform complex calculations quickly. 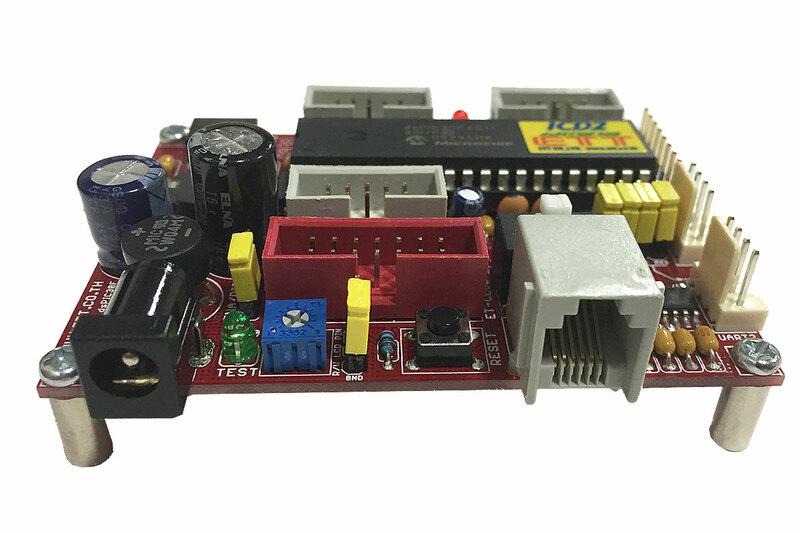 The microcontroller includes a large 48kB internal flash memory and a wide range of timers together with a number of PWM modules for adjustable motor speed control. 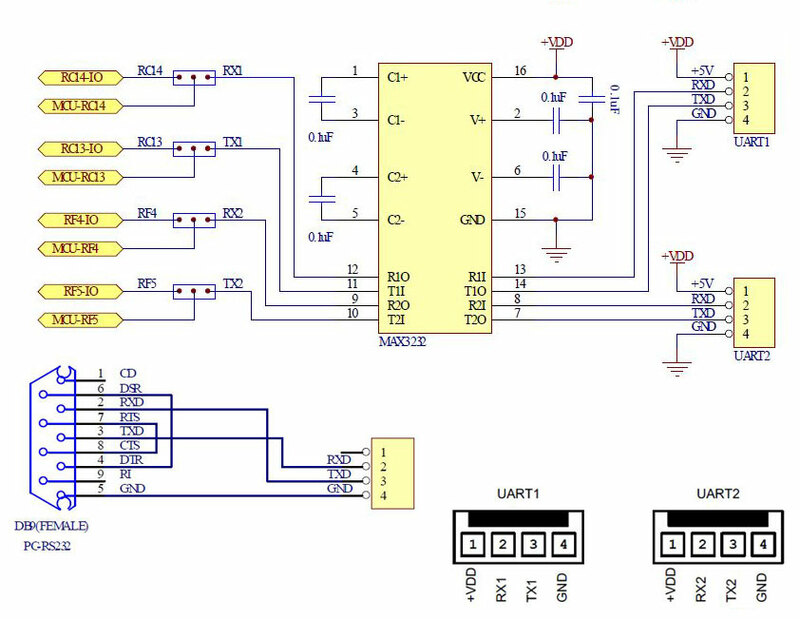 The dsPIC30F4011 Microcontroller also includes a 9-channel 10-bit A/D convertor with fast response time together with support for SPI and I?C communication. 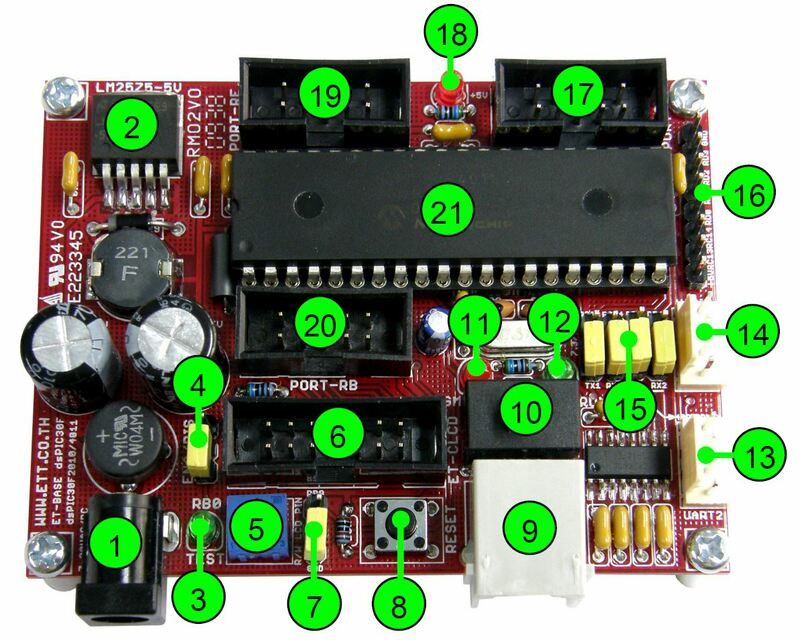 In-circuit programming is available for both the PIC Programmer as well as the Microchip ICD2 unit. Programs can also checked and debugged with the Microchip In-Circuit Debugging tool, the ICD2. 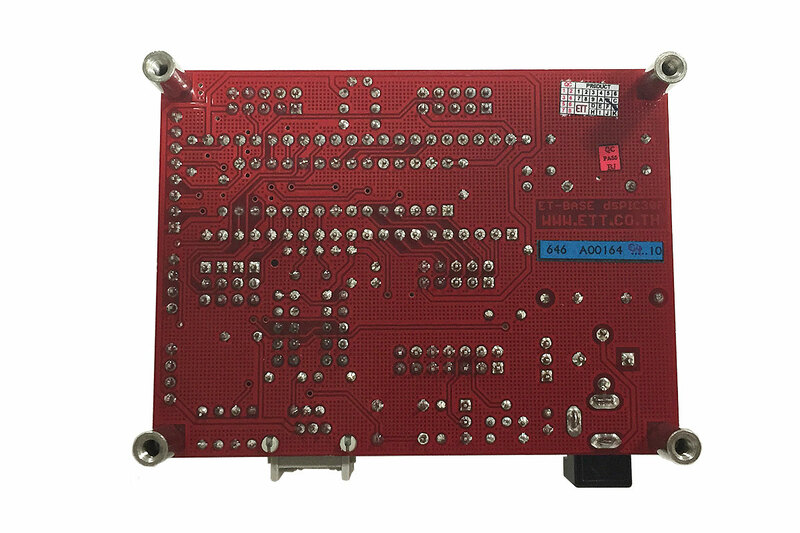 The microcontroller also includes RS232 support, for direct connection and data transfer with a laptop or computer. 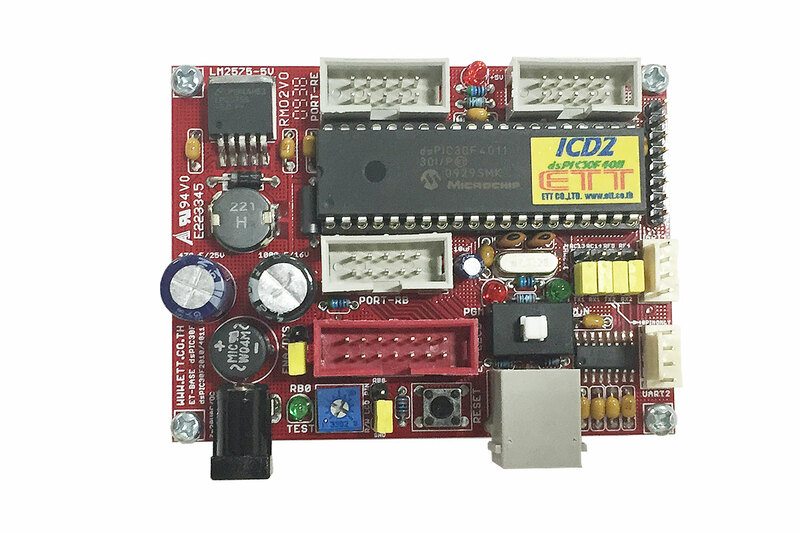 The dsPIC30F4011 Controller board also includes a large number of general I/O points with standard header connections for easy connection to external devices. 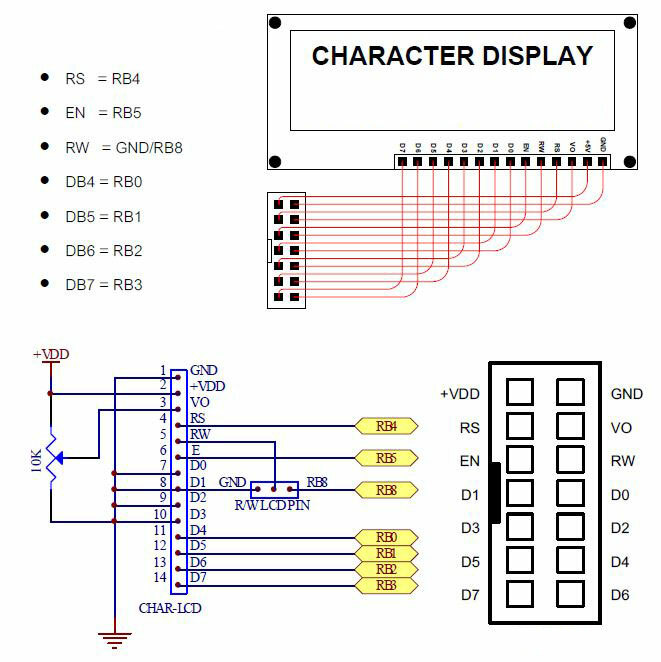 All the necessary support components are included on the board, together with a Power and Programming LED's for easy status indication. A reset switch and prog/run switch is provided, with a LCD connection provided for standard character LCD's, together with contrast adjustment for easy set-up. � RJ11 ICD2 Port, ICD2 MICROCHIPS standard. Supports IN-CIRCUIT and DEBUG. Contains PROGRAM/DEBUG and RUN switch. Contains LED displaying the modes of function. 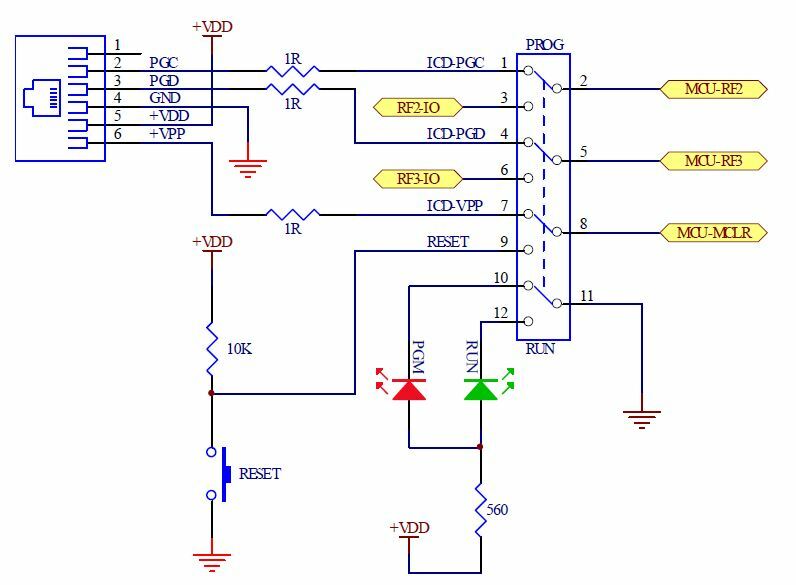 � AC/DC Power Supply with 7-10V Input. Contains 5V/1A Switching LM2575 Regulator to reduce heat from the circuit. The board comes with MAX3232 chip make it ready for PC UART connections. High quality switching mode power supply with 5V 1A output.